How often do the words “I don’t have enough time” cross your lips? We’re here to help. There are never enough hours in the day, are there? Between work, commuting, family affairs and a social life (what social life? ), our day-to-day lives can feel pretty hectic. Well, the thing is, we all have 24 hours in each day. We might not be able to magic any more minutes or hours into your day, but what we can do is help you to work with the time that you do have. Think about it. If you work eight hours per day and sleep eight hours per day, you have eight hours per day for everything else. Even if those numbers are adjusted a little, depending on your job, you’ll still have at least four hours of free time to play with. Or, if you don’t, then maybe it’s time to seriously question whether your career is negatively impacting on your sense of well-being. Remember, work is important, but it isn’t the only thing that’s important in our lives. To help you stop feeling like you’re constantly running out of time, we’ve got some tips to help you get on top of the 24 hours in your day. Every time you say aloud that you “don’t have time”, it makes you feel out of control. Change your language and you can change your frame of mind. 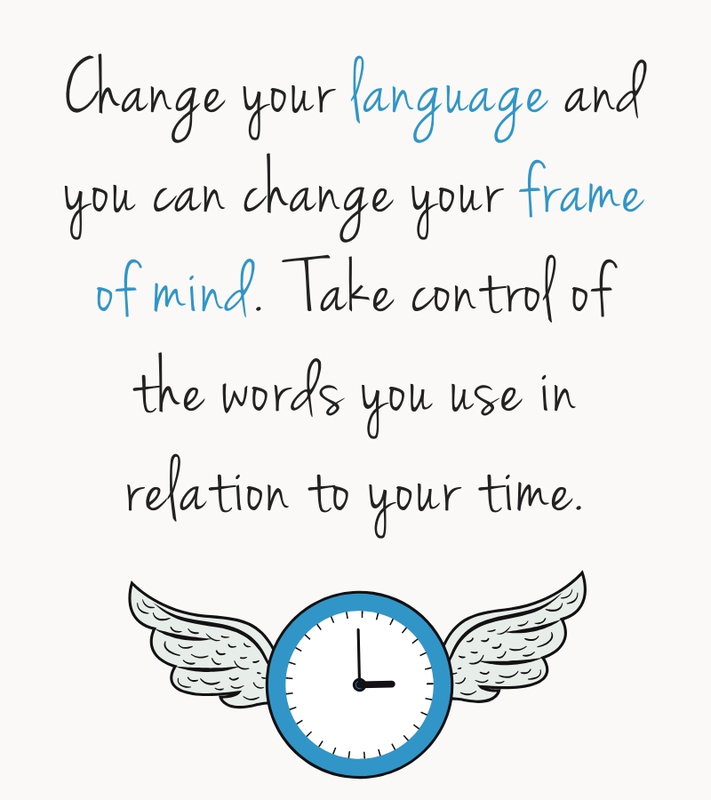 Take control of the words you use in relation to your time. For example, simply saying something like, “I’m putting this project on hold until next year” gives you a sense of ownership. As you establish your schedule, set yourself up for success, not failure. Things in life often take longer than expected, whether it’s a project a work, the weekly food shop or that catch-up with a friend that you’d set aside an hour for – but you’re still chatting two hours later. Be kinder to yourself. Make things as easy as possible and factor in a little breathing room to your day. Maybe you don’t have time to achieve everything you would like to today, but that’s OK.
Or, if you’re not usually a list-maker, just try writing everything down that’s on your mind. Sometimes, seeing all the tasks you want to complete in front of you can help make it seem less overwhelming. It can also help you to prioritise your tasks. Which three tasks do you need to complete today? Which ones can wait until tomorrow, next week, or at some point later on down the line? If you’re struggling to achieve everything you want to each day, maybe it’s time to slow down – rather than speed up. When did you last allow yourself the time to have a bubble bath or a night out with friends? Yvonne Fernando, NLP master practitioner and life coach, says: “For many of us with hectic lives, we seem to have forgotten how to be quiet and calm. Mindfulness, meditation and relaxation all involve slowing us down. It can feel easy to forgo indulgent activities when you’re busy, but allow yourself the time to redress your balance. Slowing down and taking some self-care time can help you become more productive during your working hours. 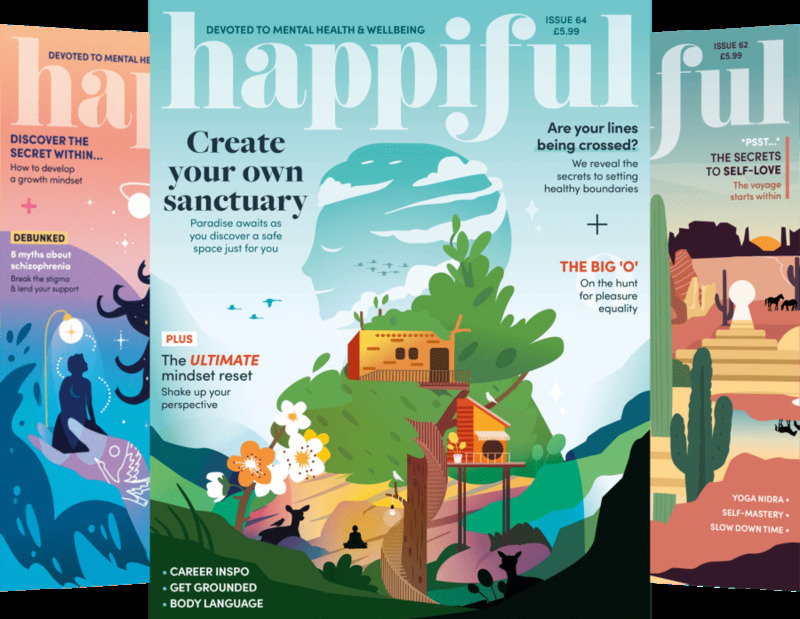 Read Happiful’s guide to achieving work-life balance. Do you spend a lot of time scrolling on social media? Or do you answer your emails as soon as they come in – even if you’re working on something else at the time? It’s these things we do, sometimes unconsciously, that are getting in the way of doing what we really want (or need) to do. If you know your time management skills could be better (even just a little), try working on that. And remember, time management isn’t about doing something as quickly as possible. It’s about best utilising the time you have available for better productivity. So, perhaps you need to try working on the tasks you anticipate taking the longest first. If you get easily distracted by emails or phone calls, put yourself on aeroplane mode and focus wholly on the task at hand for an hour or two. By managing your time in chunks, your day can seem a little more manageable. We live in a world where “yes” is the default answer, so if you want to go against the grain, it can feel tough. Yes, we know it’s hard, but you really don’t have to say yes to every question that comes your way. Whether it’s an invite to a networking opportunity or someone asking you to do them a favour, saying no might be better for you in the long run. If you really are too busy or it’s not a good use of your time, you’re allowed to say no. And you don’t have to feel bad about that. If you’re looking to redress your work/life balance and want some professional insight, a coach can provide a bird’s eye view. To find a coach near you, use our advanced search tool.